Dru and I were recently featured on Herding Code Podcast. 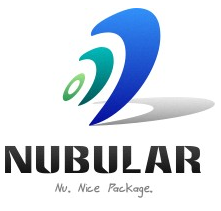 In the podcast we talk about everything from package management in general to Nubular (Nu) to other package management systems (OpenWrap, Bricks, and Horn, although horn was/is slightly different) to the possibility of Microsoft releasing a package management system. It was a good time and I enjoyed doing the podcast, but the herding code guys start recording at an insane 10:30 PM! I have no idea how I made it through the whole thing and was still able to talk afterwards. 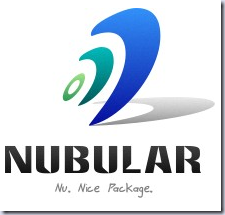 There is a lot of talk in the beginning about package management in general. Basically, I say the word “basically” way too much. For the first 16 minutes I think I was teetering on sleep, it was 10:30PM after all. Then after that I start to wake up and sound more articulate. Big shouts out to all the people in the community that have really been stepping up, and huge shout outs to Nick Quaranto (@qrush), Bil Simser (@bsimser) and Michael Carter (@kiliman). Going OT (off topic) 53:11 - “We junk punch audit” - Mentions for RoundhousE and what problems it solves. 55:13 - “At the end of the day it is what it is as long as you bring your A game” - Basically Rehashed and Remixed. 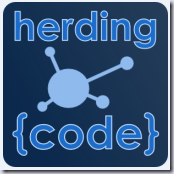 Check out the herding code podcast and notes for more. I didn’t keep track of certain times for interesting bits in the beginning of the podcast, but Ben Griswold does an excellent job on the notes from the podcast. That was a great episode, especially the end :) I've really enjoyed using Nu so far. I'd be curious to hear more on the security concerns. Specifically how Ruby Gems or others handle idiots submitting malicious or fake code. I'm not too concerned about it, but I did find it interesting.